All rooms have a sea view. (2 Doubles, 1 twin). Kelapa Luxury Villas Gili Trawangan Lombok Indonesia, hidden in a coconut plantation on the north-west corner of Gili Trawangan, will provide you with the ultimate paradise, an idyllic tropical private retreat within a short distance from the beach and Trawangan’s rustic charms. This exclusive estate is set in beautifully landscaped gardens. Every villa has a private swimming pool. Enjoy a luxurious holiday staying in our villas or purchase your own investment villa. Villa Kismis - spacious 1 bedroom villa set in an intimate tropical garden. The open plan living area is ideal for relaxing in the evening with its dining facilities, seating area with entertainment systems and spacious kitchenette. Villa Pisolo - Beautifully appointed 1 Bedroom Villa set in an intimate tropical garden. The perfect villa for a romantic escape or honeymoon. 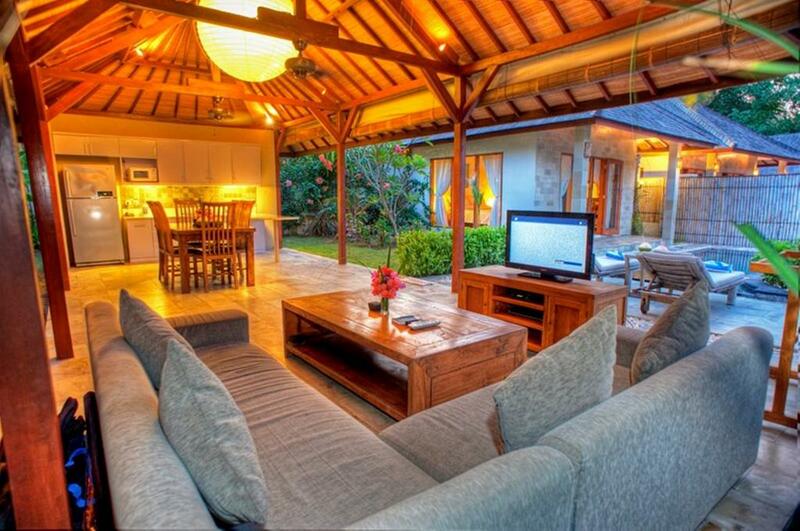 Villa Manis has two day beds in the living area as well as a kitchen with fully fitted oven, hob and fridge. Complete with fully fitted kitchen and a bathroom which can be accessed both from the master bedroom and the living area. 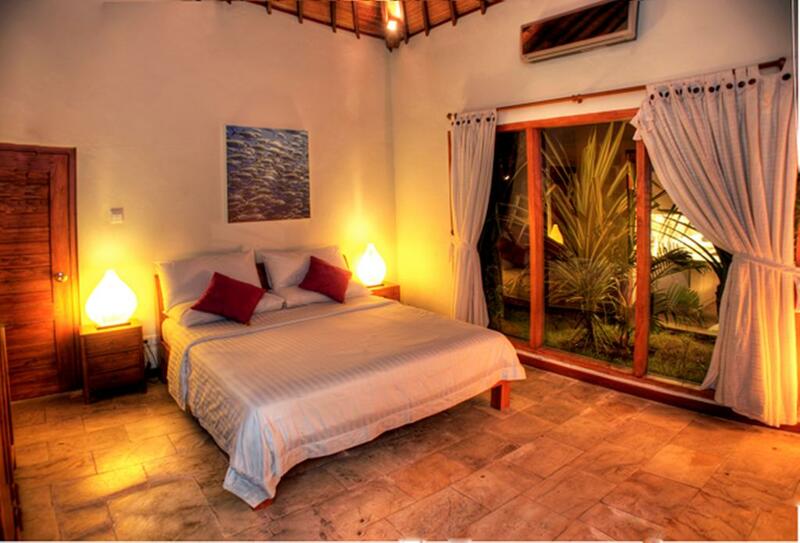 Villa Kenari - spacious 1 bedroom villa set in an intimate tropical garden. The open plan living area is ideal for relaxing in the evening with its dining facilities, seating area with entertainment systems and spacious kitchenette. Villa Cucciolo - Beautifully appointed 1 Bedroom Villa set in an intimate tropical garden. The the perfect villa for a romantic escape or honeymoon. Villa Indah - The perfect family villa with 1 double room and 1 twin room. Complete with fully fitted kitchen, an 8m lap pool and intimate garden. Villa Kerang - Spacious 2 bedroom villa. Perfect for couples travelling together. Villa Lautan offers a large open- aired living area with views over the pool. Villa Lautan offers a large open- aired living area with views over the pool. Both bedrooms have Queen size double beds. 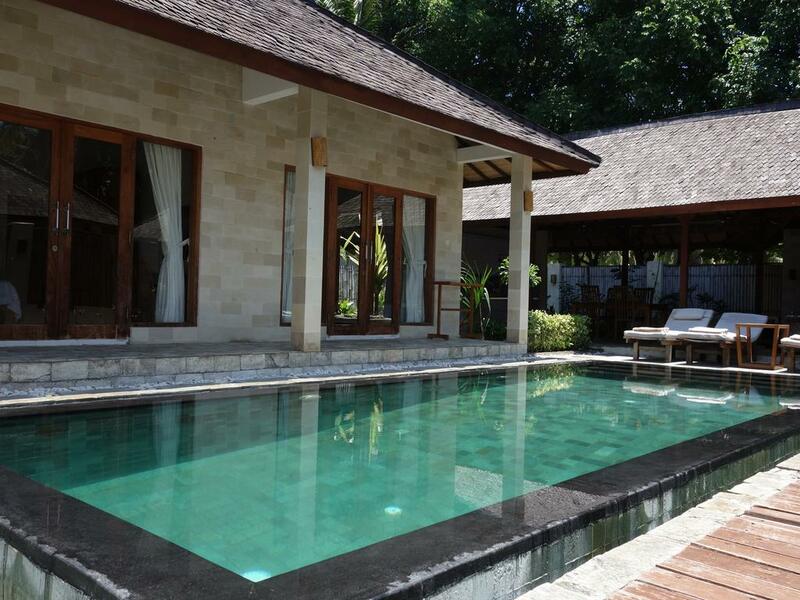 Step out of your bedroom straight into the pool and relax on the sun-loungers and enjoy the Gili Trawangan sunshine. Villa Purnama. This villa is the largest of our 2 bedroom villas with beautiful tropical garden and pool bar. Villa Dunia - The villa has a spacious living area, 3 bedrooms all with en-suite bathrooms. There are two double bedrooms with queen size beds and one room with twin beds. Villa Mimpi - The villa has a spacious living area, 3 bedrooms all with en-suite bathrooms. There are three double bedrooms with queen size beds. The villa has a fully fitted kitchen and a 10m lap pool all set in private tropical garden. Villa Senang - Three bedrooms all with en-suite bathrooms. Two of the rooms have queen size beds and one room with twin beds. Complete with fully fitted kitchen in open plan living area. Villa Sophia newly refurbished is centrally located at Kelapa Luxury Villas, close to the clubhouse and reception. One of our largest 3 bedroom villas with a large swimming pool and spacious tropical garden. Villa Sophia has a large open plan kitchen/Dining and sitting room with views over the garden and pool. The kitchen is fully equipped with hob and oven as well as a large refrigerator, this gives you the opportunity for self-catering as well as enjoying our in-house menu. Villa Marina is the largest of the private villas at Kelapa Villas perfect for families, corporate retreats, private parties, weddings. The spacious open-plan living room includes a fully equipped kitchen and a long table for big dinners as well as a large sitting area.